When I say “kids count,” what pops into your head? Write it down before you continue to read this post. 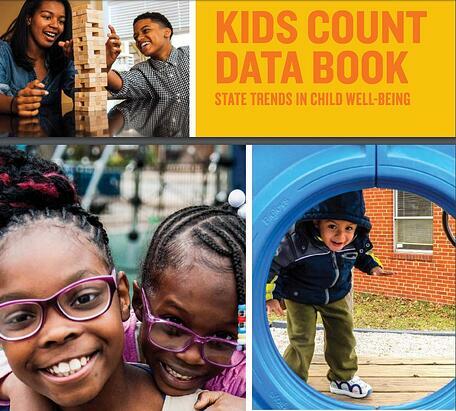 Seriously, though, when I say “kids count,” I refer to the outstanding annual publication called Kids Count from the Annie E. Casey Foundation, arguably the most well designed publication on national and state level indicators of child well-being. Notice that I use the term “well designed” to describe it. I use that term because Kids Count uses text and graphics to present an incredible amount of data in a way that’s easy to consume and use. That’s why it can be so helpful in the context of serving dads. As you know, a host of markers of child well-being are positively influenced when children have an involved, responsible, committed dad and negatively influenced when children grow up without their dad. The involvement of dads, or lack thereof, affects markers related to each of these categories of well-being. Kids Count shows national trends over time in these indicators (i.e. whether they have improved or worsened) and ranks states from best to worse in each category. You can create charts of data on any indicator (e.g. children living in poverty) for a five-year period to reveal the trend in that data for the city, county, congressional district, or zip code your organization serves. Like the publication, the Kids Count Data Center makes the data easy to consume and use. It’s easy to see the data that are available and to parse the data by state-level variables. Presentations to staff and stakeholders (e.g. board members) to get their buy-in on starting a fatherhood program. A session of a fatherhood program related to the topic of that session. A print or electronic newsletter that features or includes an article on your work with dads. An email to a local newspaper or television station encouraging them to do a feature on your work with dads. A proposal for funding of a fatherhood program. These two excellent sources of data make a great complement to National Fatherhood Initiative’s Father Facts publication, now in its seventh edition. Father Facts remains the most comprehensive source of data and research on the effects of father absence and the benefits of father involvement. How effectively do you use data on child well-being in your work with dads? Have you imagined all the ways in which you can use data on child well-being?